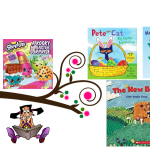 With Easter just around the corner, there is no better gift than a book for you special little one. 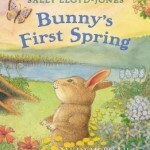 We have a large selection of fun springtime books already, but I wanted to add a few more to my daughter’s collection. 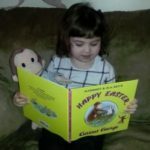 When it comes to children’s books, I normally purchase books from Amazon, Chapters or Scholastic Canada’s school book orders. However, I was recently introduced to Book Outlet and had to check out their discount children’s books for myself. Book Outlet is now my favorite place to order books from. 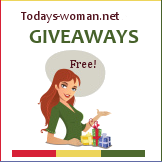 The online store is really easy to navigate, where I can easily search for the books I wanted. 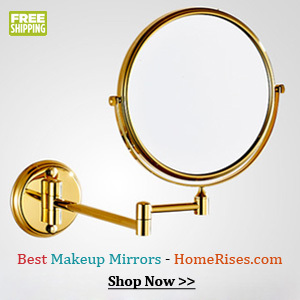 The website conveniently lists books by category, format, product type, age classification, grade classification, series and price. While Book Outlet carries discount children’s books, the site also offers fiction, cooking, young adult novels and so much more. It has over 50 categories to choose from with over 90,000 titles. Book Outlet offers books at 50-90% off the original list price. Books are offered at incredible savings, because most of them are marked with a small line or dot on the edge by publishers who sell Book Outlet their returns and excess inventory. The books they sell, however, are new, unread, and in great condition. Book Outlet does offer a scratch and dent area on their website. Scratch & Dent books may have noticeable dents, scratches and various other cosmetic issues as well as torn or missing dust jackets. 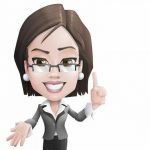 Are you really saving at Book Outlet? 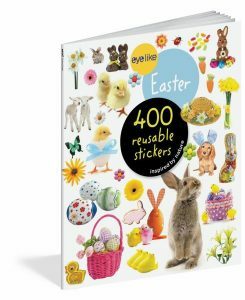 One of the books I ordered is “Eyelike Stickers: Easter by Workman Publishing.” The list price at Book Outlet was $3.59. For comparison, I went to Chapters where the book was listed for $9.95. I saved 60% off the retail price by ordering through Book Outlet. Be sure to check out the clearance section as well. These titles are updated on a regular basis, so check back every once and a while for something newly marked down. When you add an item to your cart, the quantities displayed “x in stock” represents the total stock of inventory available. While some titles had 100 books in stock, other titles showed only 12 in stock. Canadian shipping for books starts at $5.00, with free shipping offered for orders over $45.00. Anything under $45 CAD will have a flat rate of $5 CAD per order. Priority shipping is available and will incur an additional charge over standard shipping rates, based on weight and destination. Every dollar you spend at Book Outlet earns you points towards free books! You can also earn points for referring friends, signing up for the newsletter, taking quizzes and following Book Outlet on its social media channels. Overall, I’m very pleased with Book Outlet and will update my post with photos once my books arrive. If you don’t mind waiting for books to be delivered, Book Outlet is a great option. 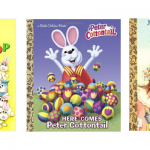 Seeing how I was shopping for Easter books, I put together this list of children books I found via Book Outlet that are suitable to read at Easter. 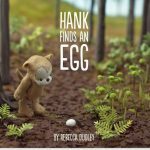 When Pete wakes up on Easter morning, he finds that the Easter Bunny needs his help! 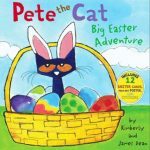 Read along to find out if Pete can help the Easter Bunny before Easter is over. This story comes complete with a poster, punch-out cards, and stickers. The Bear cubs and Papa are candy-crazy this Easter! But Mama, with help from Papa, tells the cubs about Jesus’ resurrection and shows them that salvation is much sweeter than candy. 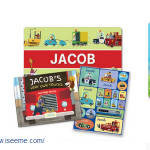 The book includes a colorful sticker set. 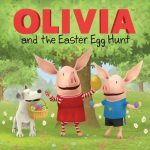 Olivia and her family are off on an Easter egg hunt all around town. The grand prize is a beautiful golden Easter egg. Will Olivia and her family be first to complete the silly tasks and win the golden prize? 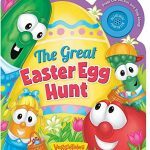 The Great Easter Egg Hunt is finally here! 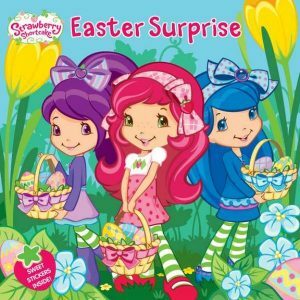 Larry, Petunia, Junior, and others each hope to find the very best egg. But when Bob declares a shocking winner, it reminds them of the true meaning of Easter. 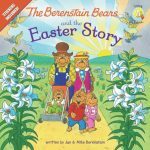 Press the music button to hear the Veggies sing “Christ the Lord Is Risen Today.” Children will love this story of the greatest Easter prize of all! Please leave a comment and let us know if you have ordered books from Book Outlet before. I would love to hear your thoughts. 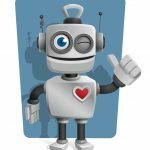 Be sure to follow Book Outlet on social media for product features, fun content, and exclusive offers! Sign up today and save $10 0ff your 1st order of $25.00. For your convenience, Book Outlet has an American and Canadian website for you to shop on.